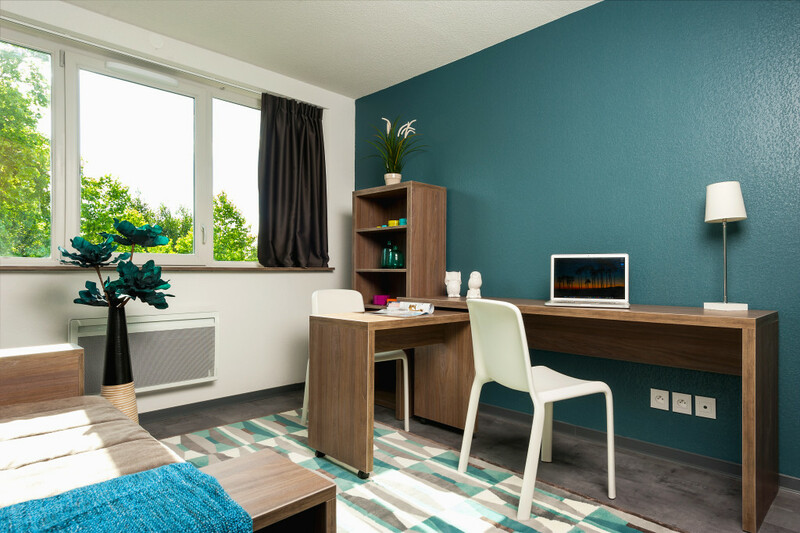 Choose Study’O Bordeaux Garonne: the ideal solution for your room student in Bordeaux. Our residence is ideally located next to universities and Bordeaux schools, shops and public transport to facilitate all your trips. With Study’O Bordeaux Garonne, your student in Bordeauxroom, will be equipped with a kitchenette, a desk, a sofa bed, a shower room and toilet and free high speed Internet, allowing you to navigate without a problem with your computer, tablet or smartphone, without opening an account with an operator. You want to book your room for student in Bordeaux? Just fill out our booking form on our website by choosing your accommodation, by filling in your tenant data, by creating an account and providing the necessary documents for the study of your folder. Any questions about the terms of lease for a student in Bordeaux? Do not hesitate to contact us on the phone at +33 (0)5 57 10 30 10 by email at garonne@studyoresidences.fr.